Hello peeps, I am up with a card, not my usual posting time, but I just finished it and wanted to post it right away! 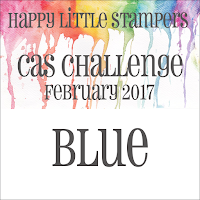 I was inspired by Keren's challenge at winnie&walter. It took me more time to make the card in my head than actually sit down and execute it. I love exploring different ideas, and I am always out to create something different. 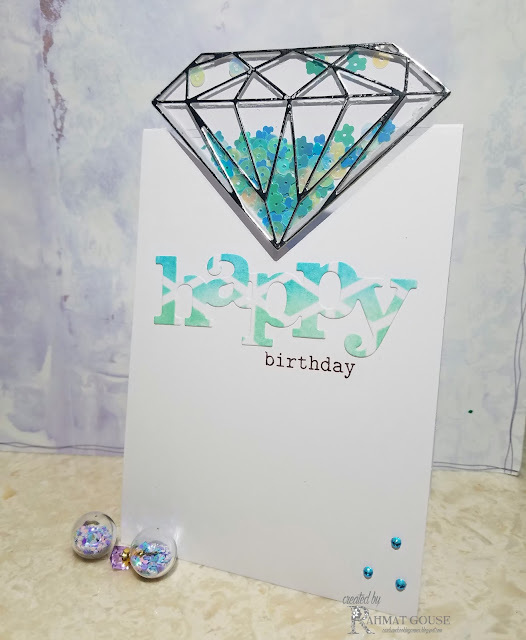 I used a new stash - the multi-facet diamond cutaway die from w&w, I partially cut the card, it was folded first, and then cut. 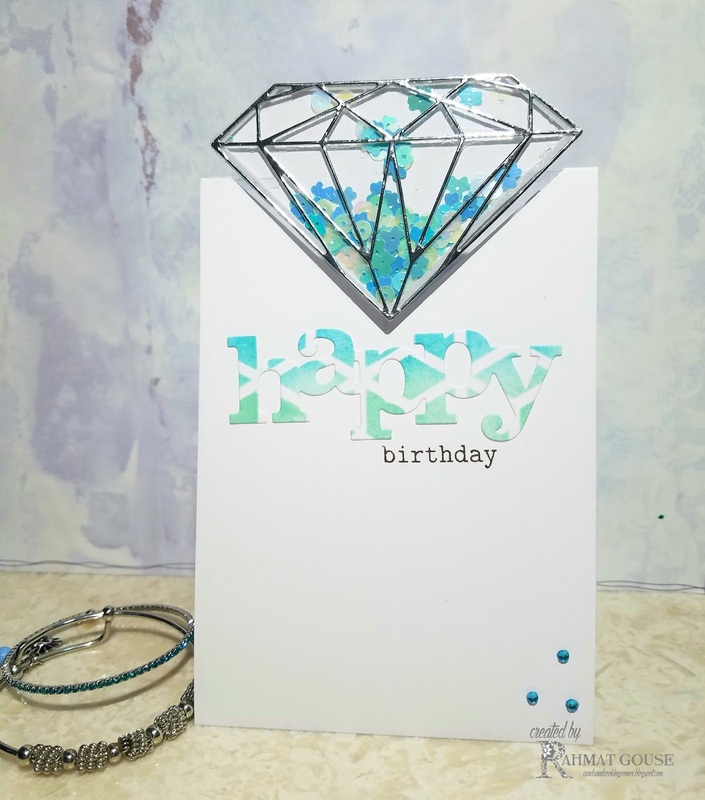 I used the top one with a silver card stock, and created a shaker with some blue and transparent sequins. I added 3 strips of acetate to hold the card to the base. The acetate is incorporated inside the shaker, for steady hold. 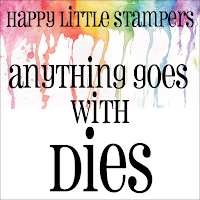 The 'happy' cutaway die is from another stenciled card I made yesterday, I will post it in few days. 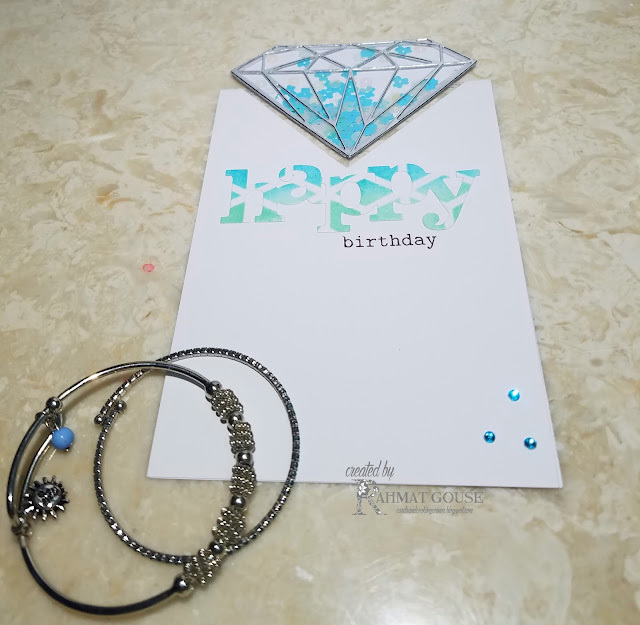 Stamped the sentiment from w&w, and added 3 tiny blue rhine stones to finish off. I kept the card really clean, as the main focus is on the diamond followed by the 'Happy'. I am loving this card, I will post a small video on Instagram to show the shaker, and more of the card. If interested stop by @rahmat.ccc to watch it. Cool !! The diamond shaped shaker really "stands out"
What an original shaker card, very creative! Beautiful hues of blue too! Thanks for joining us at HLS!